New lengths have been hitting the fashion scene and I find it refreshing especially since mini skirts are about to flood the streets. I introduce to you the midi. She likes to sit below the knee and above your ankles. If your feeling like it might be too conservative for you just slap a crop top together with it so you don't feel so covered up. Use your imagination, tap into your personal style and I know you can turn out something unreal. My look that I styled today is quite fancy, in fact I wore it to Toronto Fashion Week last fall and I'm in love with it. 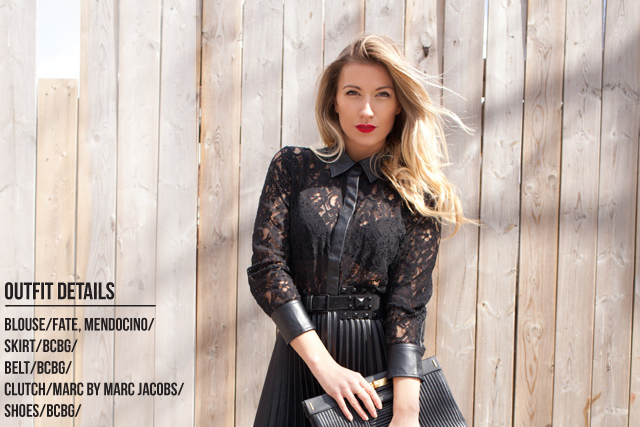 Leather, pleats, lace there is so much amazingness happening in this look. 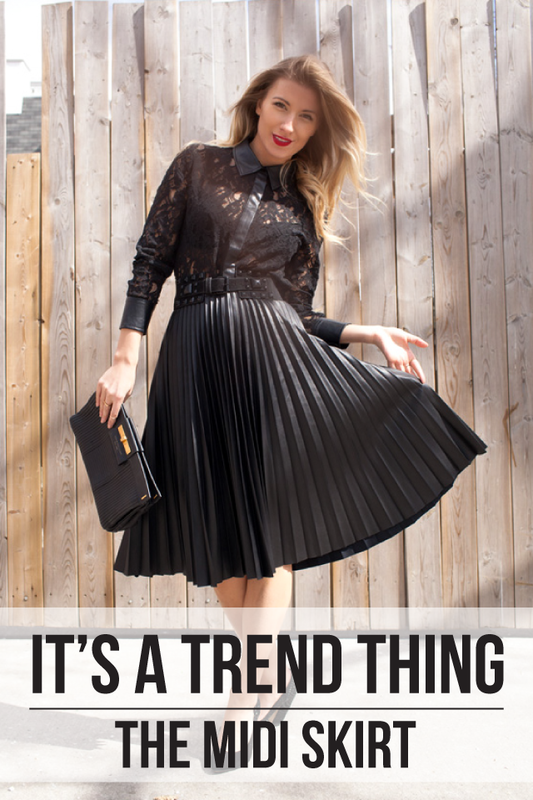 Just don't get hung up on the midi only looking dressed up because you can tone down this trend. Head over to my Facebook page for more inspiration on how to wear the midi skirt. If your convinced check out my shopping picks below! I'm wearing a midid skirt on my blog right now! Such a great trend. You look fabulous in yours :) Happy Friday!